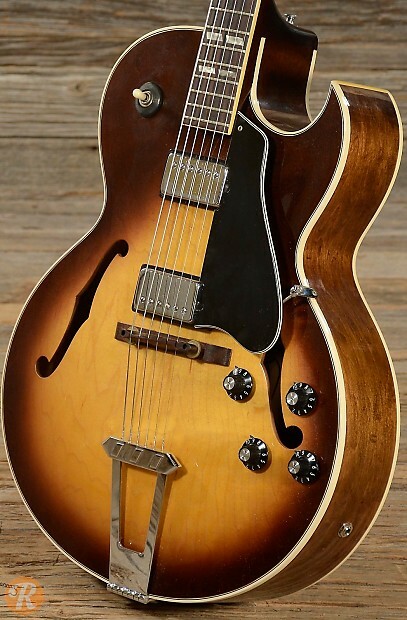 With a fully hollow body and sharp Florentine cutaway, the Gibson ES-175 stands out as an all-time iconic jazz guitar. 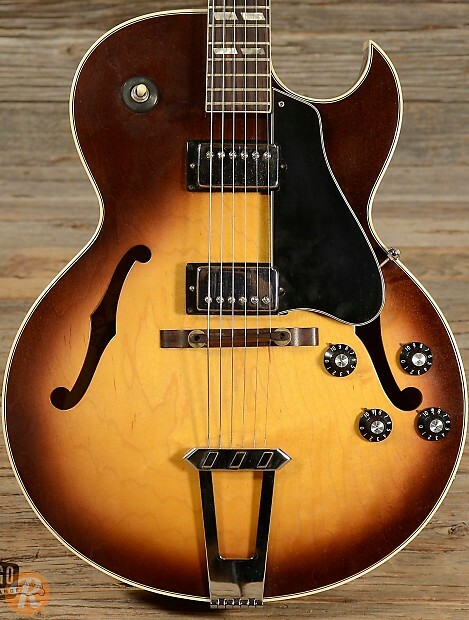 The ES-175 has seen some variation over the years, with different pickup and hardware configurations coming in and out of the Gibson lineup. 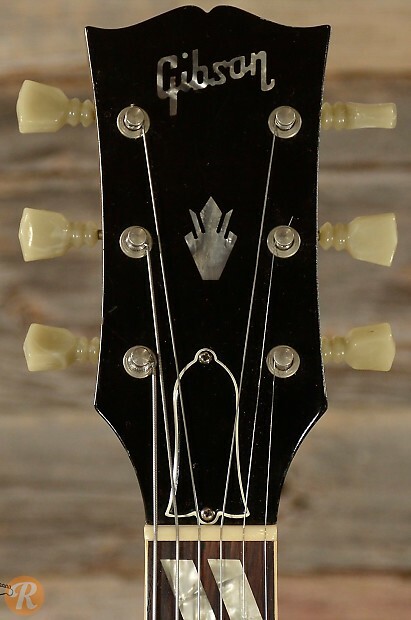 Those with the ES-175D model number indicate the use of two pickups, and an N denotes a natural instead of sunburst finish. 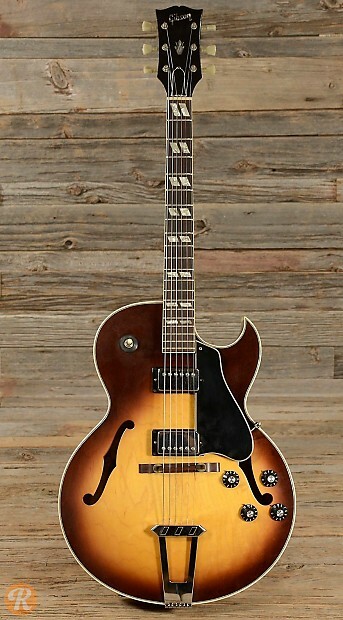 Although the ES-175 is noted as a jazz guitar, it has also been embraced by rock players like Yes' Steve Howe who has a signature model.